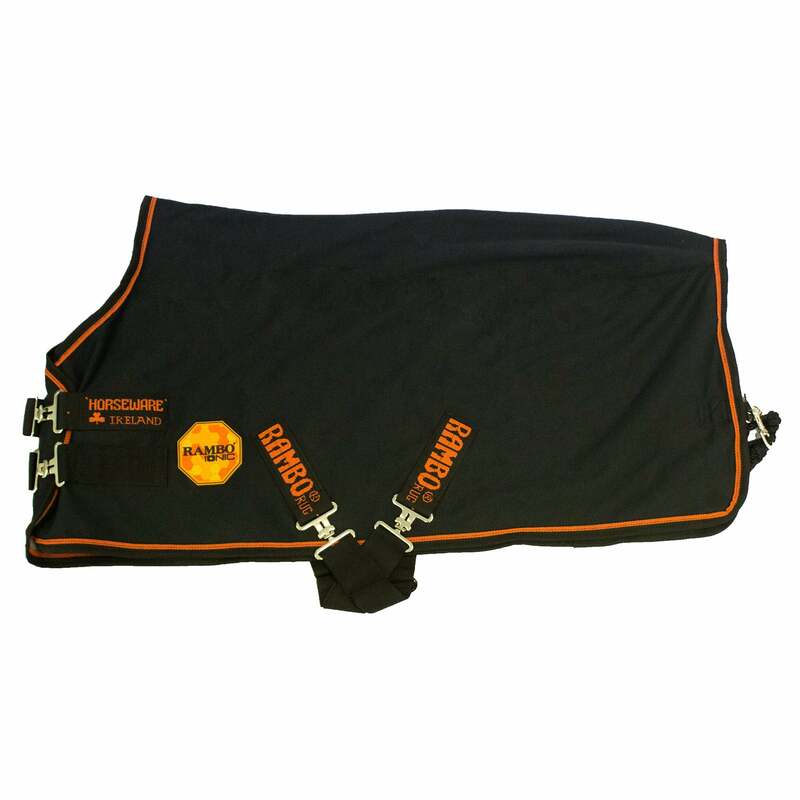 The Horseware Ionic Fleece Rug is great for in the stable or traveling and features Rambo Ionic Technology that aids in improving your horses circulation through negative ion therapy. This breathable rug has a Tourmaline infused fleece inner that releases an electric charge when ground down. This charge will convert molecules in the surrounding air into negatively charged ions that are absorbed through the skin into the body. This causes a change in the horses body, increasing blood flow to increase the level of oxygen to important areas such as muscles making it an ideal for use before exercise to prepare muscles for work and after to help reduce any lactic acid build up. This fleece lined rug has a smooth cotton outer with double front closures, cross surcingles and fillet string. Please note, we recommended that this rug is gradually introduced.